Last weekend we decided to drop into Scotland Street School with the four youngest. 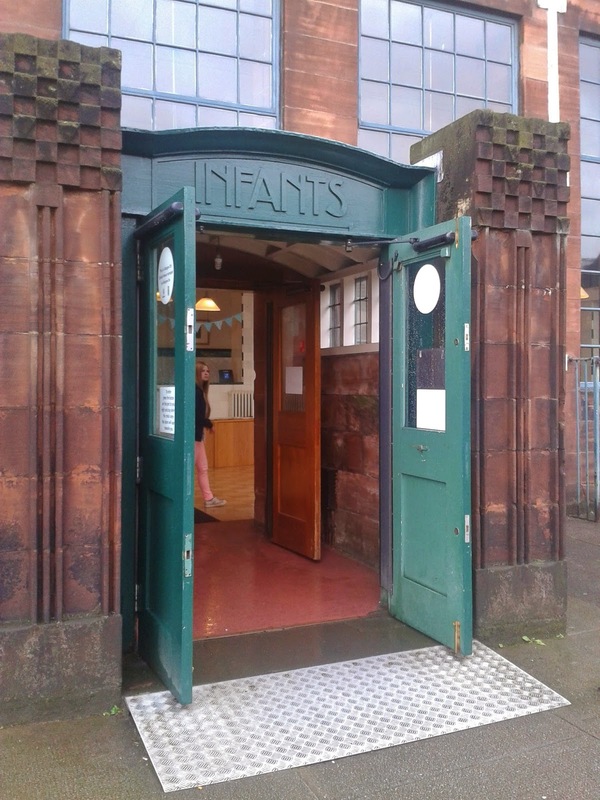 Charlotte had been before but we thought it would be interesting for the little ones to see how schools used to look, not to mention introduce them to Charles Rennie Mackintosh. I was surprised to find it brought back memories for me too. Although I had gone to a very modern primary school which had only opened in 1973, when I was in my second year at school, I had spent my first year at much older school at the other side of the city. Unlike the modern school, my first one was an old sandstone building, with tiled outhouse toilets and cloakrooms much like (a less elaborate) Scotland Street. The cloakroom in particular took me back. I remember often entering it on a cold, damp morning. The smell of damp woollen coats in the old tiled room came back to me vividly. I also remember the pegs at various heights. Being just four years old, mine had to be hung on one of the lowest pegs and I remember all the big kids' coats dripping on mine from above. 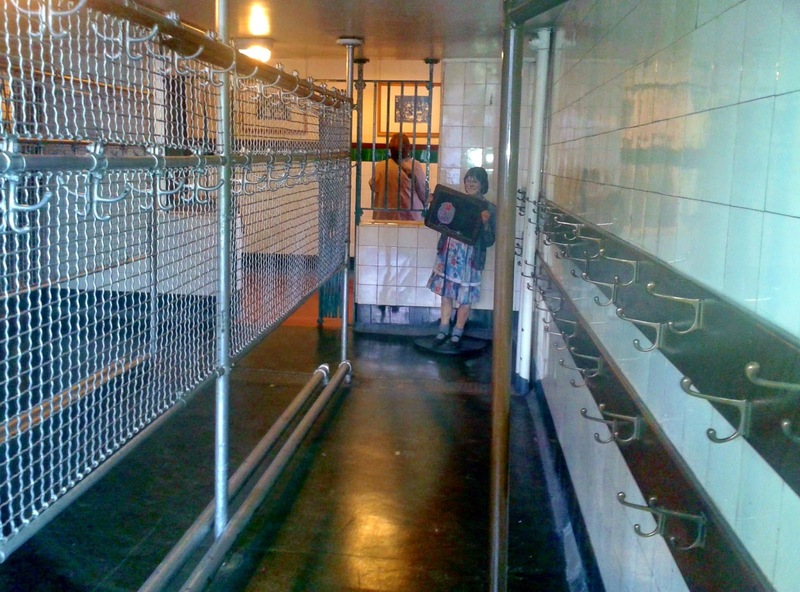 From Scotland Street cloakroom we went on to the 50s and 60s classroom. Of course, my classroom had been from 1972 but it looked the same. It had the same individual wooden desks with the opening tops where we stored our pencil cases and books. 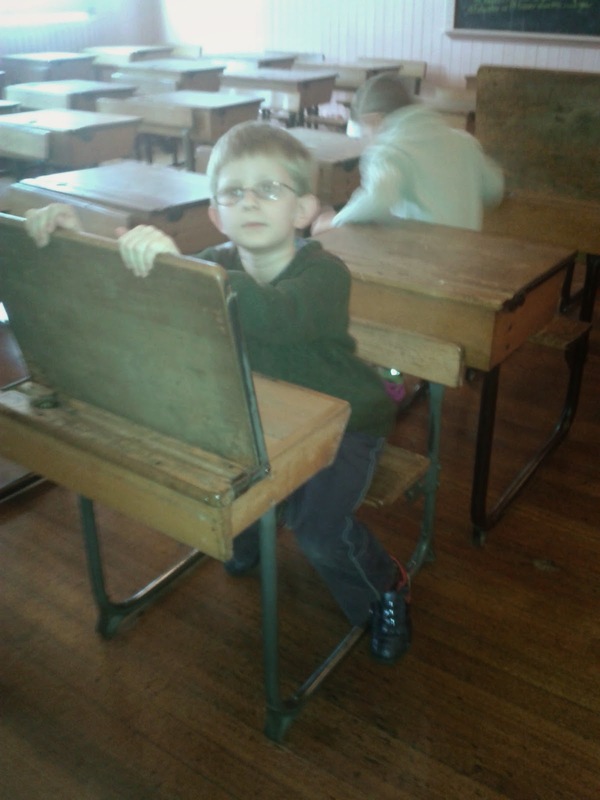 When I'd moved to the modern school in '73 I had really missed my functional wooden desk. The new school smelt pristine but lacked character and quirkiness. Even at five I could tell which felt more alive. I also recalled with some shame how I'd watched several boys fill one child's desk with the sand from the sandpit we'd had in the classroom because we didn't like him as he was the only child who used to wear a lime green shirt as opposed to the prescribed apple green one. Children can be cruel! 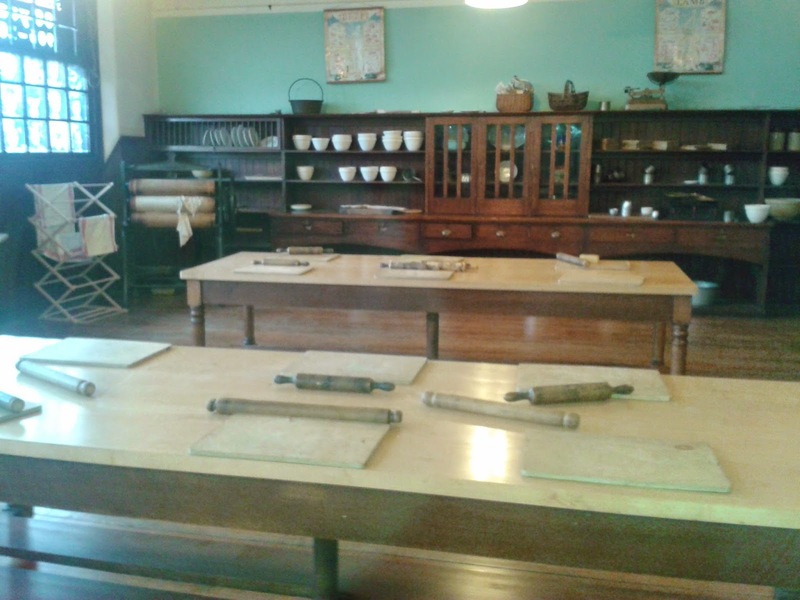 I loved the Victorian classroom and the old home economics rooms too but need to go back with my DSLR as my phone camera just doesn't do these things justice. All in all it was definitely a successful, free afternoon's entertainment.